How is one to learn in a time of globalization? And in particular: how is one to learn if the research “object” is a non-European culture, such as that of Japan? 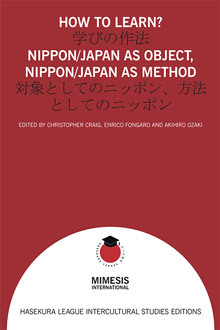 What are the methodologies appropriate for working in the field of “Nippon/Japan” in a bi-directional approach from West to East and from East to West? Based on an interdisciplinary and intercultural orientation, specialists from Europe and Japan analyze topics focusing on History, Philosophy, Aesthetics, Literature, Linguistics, Sociology, Economics and Religious Studies.